Otis Ray Redding, Jr. (September 9, 1941 – December 10, 1967) was an American soul singer. Often called the "King of Soul", he is renowned for an ability to convey strong emotion through his voice. According to the website of the Rock and Roll Hall of Fame (where he was inducted in 1989), Redding's name is "synonymous with the term soul, music that arose out of the black experience in America through the transmutation of gospel and rhythm and blues into a form of funky, secular testifying." 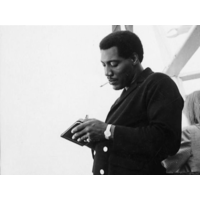 In addition, rock critic Jon Landau said in 1967, "Otis Redding is rock & roll". Redding died in a plane crash at the age of 26, one month before his biggest hit, "(Sittin' On) The Dock of the Bay", was released.